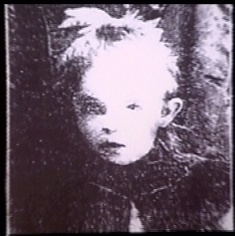 Stacy Horn » Blog Archive » How Many Henry Dargers are There Out There? How Many Henry Dargers are There Out There? I’m dropping my manuscript off in midtown today so I was checking all the museum exhibition schedules for something to do afterwards when I remembered it’s Monday and they’re all closed (annoying tradition). Before I realized this I had settled on the American Museum of Folk Art, where I was going to see some paintings by Henry Darger (that’s one of them here) and others. I’ve never been to the American Museum of Folk Art, which is insane because I love folk art and know nothing about it. I should have visited that museum a billion times already. My kind of obsessive (that’s Elsie here). How many Dargers are out there, whose work we never see, whose work almost no one gets to see because it wasn’t preserved. I was thinking how I love going through forgotten remnants, the boxes of things that were put away and then never looked at again, but especially poignant are the people who where basically already forgotten in their lifetimes, working and living quietly away behind closed doors, with no one who really knew what they were doing or what went on in their heads. There must be so so many of them. 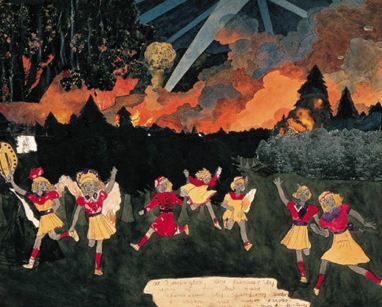 I think I might have become a Henry Darger had I not gotten into therapy. Now I am the opposite of Henry Darger and seem to want to put what’s inside my head out there IN AS MANY WAYS as are available to me. Sad little Elsie though. Now that’s going to bug me.